Applications:Use the LM-B SERIES to move plate steel, block or round steel, and iron material in your shop. Super-powerful lifting magnet requires no electricity. It's perfect for loading or unloading most workpieces including press molds, plastic molds, machined parts, etc. Rated for up to 2000kgs! Rated for loads up to 2000kgs. 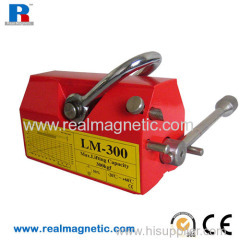 Note: On all our lifting magnets there is a built-in safety factor of 3.3 times the rated load. 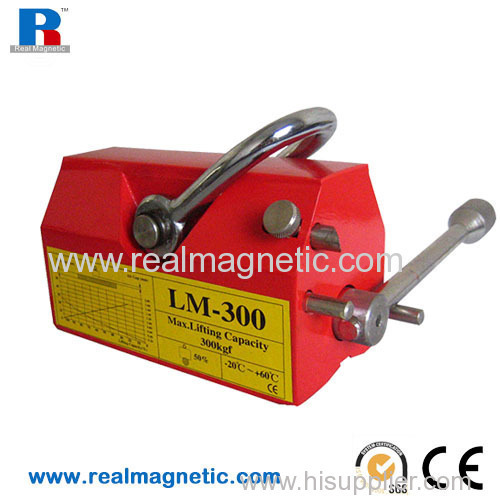 This means that the safety factor is 3.3 times the maximum rated load for each magnet. WARNING: Never lift more than the maximum rated load. Operation:Simply move the lever to the "ON" position to engage the magnet. Spring-loaded lock keeps the magnet engaged until you release it.